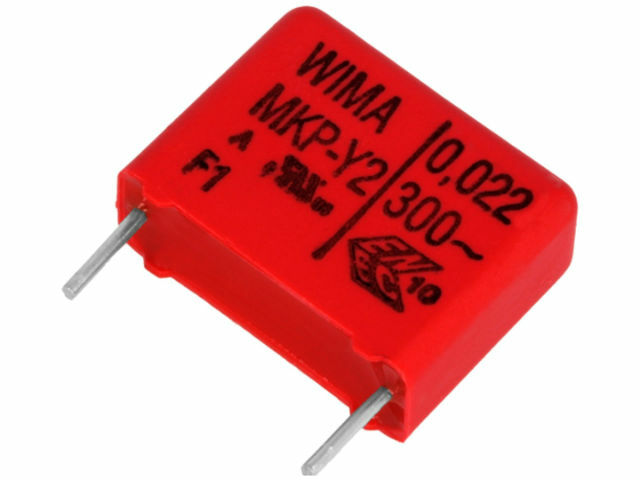 The group of suppression capacitors has been enriched with MKP class Y2 capacitors by WIMA. The Polypropylene capacitors with self-healing effect have low ESR values and can operate at temperatures from -55°C to 105°C at a maximum voltage of 300VAC. The capacitors operate in the cable connection system L and PE as well as N and PE.